Consumer products giant Johnson & Johnson and Imerys Talc America have been ordered to pay $117 million to a New Jersey man who said he developed cancer due to his exposure to the companies’ talc-based products. Just days ago, both companies were hit with a $37 million verdict in compensatory damages in the case, where a jury in Middlesex County Superior court found New Brunswick-based J&J responsible for 70% of the damages and France-based Imerys Talc America, a global talc producer and J&J supplier, responsible for the remaining 30% of damages. The award consisted of $30 million for the victim and $7 million for his wife. The decision came after more than two months of trial. Now, the court has ordered the companies to pay an additional $80 million in punitive damages to the victim and his wife, for a total of $117 million. According to Reuters, “the verdict by jurors in New Brunswick, New Jersey, came in the second trial nationally to focus on claims that J&J’s talc products contained asbestos as the company separately fights thousands of cases claiming they can also cause ovarian cancer.” Of the $80 million award, J&J was ordered to pay $55 million and the Imerys unit was ordered to pay $25 million. The plaintiff in the case, now entering his late 40s, said he was exposed to asbestos by inhaling dust from Johnson & Johnson’s signature Johnson’s Baby Powder from the time he was born in 1972 to roughly 2003. He was diagnosed with mesothelioma, an aggressive form of cancer with no cure, in 2016. If you have been exposed to asbestos, see your doctor right away. Although there is no cure for mesothelioma, early detection greatly increases the chances for successful treatment. Bellon, Tina. "J&J, Imerys Unit Must Pay $117 Million in N.J. Asbestos Cancer Case." Reuters. Thomson Reuters, 11 Apr. 2018. Web. 12 Apr. 2018. 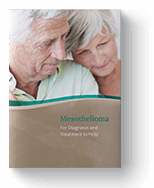 "Can Malignant Mesothelioma Be Found Early?" American Cancer Society. American Cancer Society, Inc., 17 Feb. 2016. Web. 09 Apr. 2018. Imerystalc.com. Imerys Talc, 2018. Web. 12 Apr. 2018. Schatz, Dave. "Johnson & Johnson Hit with $37M Verdict in Asbestos-related Cancer Lawsuit." USA Today. Gannett Satellite Information Network, 06 Apr. 2018. Web. 09 Apr. 2018.